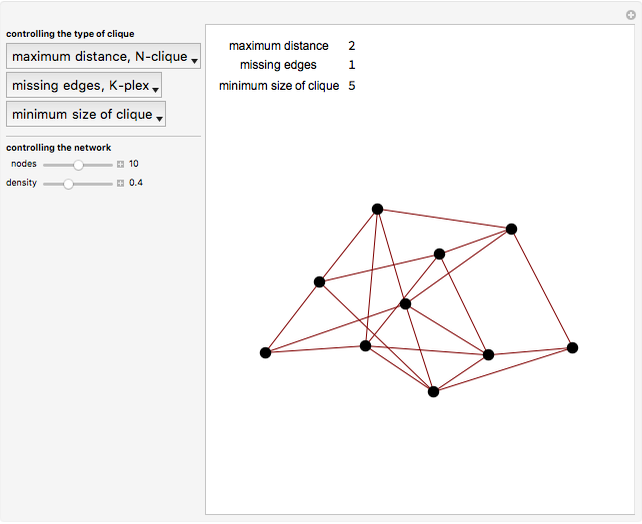 A clique is a set of three or more nodes in a network that are all connected to one another. 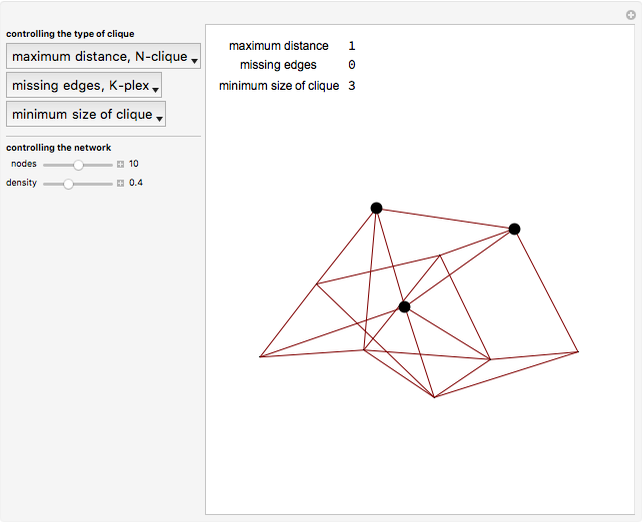 An -clique is defined by indirect connections of length or less. 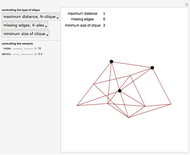 In a -plex, every node is allowed missing links to other clique members. 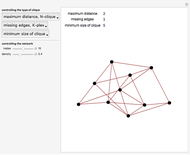 Sliders control characteristics of a random network. 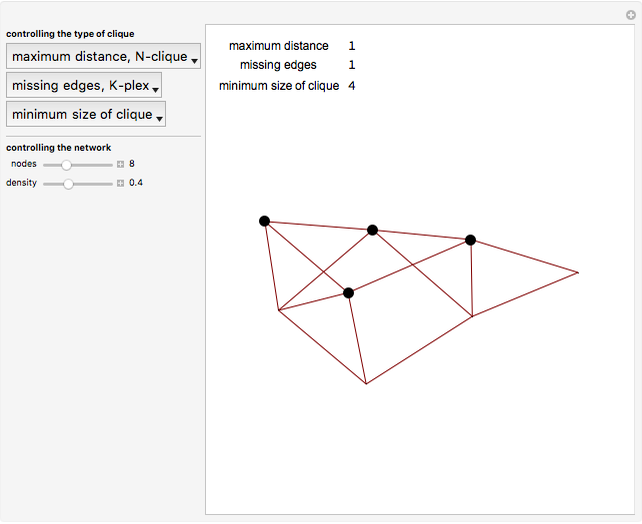 Click the diagram to cycle through the cliques. 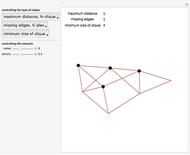 S. Wasserman and K. Faust, Social Network Analysis: Methods and Applications, New York: Cambridge University Press, 1994. Phillip Bonacich "Finding Cliques in Networks"